Former CNRP officials currently behind bars in Prey Sar prison have appealed to the government to help request a royal pardon from the King, former opposition lawmakers said after visiting them yesterday. Three former CNRP lawmakers, Ou Chanrath, Mao Monyvann and Kong Kimhak, visited the former party officials and activists yesterday for the first visit since April 2017, when the Interior Ministry banned former CNRP officials from visiting their jailed comrades after it accused the party of bringing Huot Vuthy, a Radio Free Asia staff member, to a prison visit under false pretences. 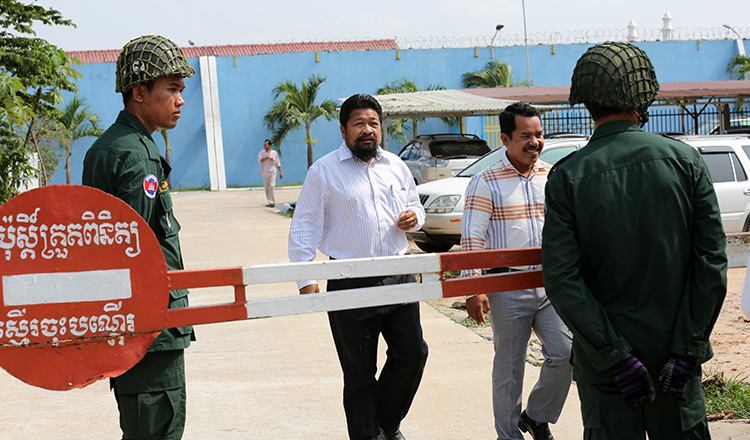 Huot Vuthy, an RFA deputy director better known to listeners as Chun Chanboth, signed himself in as an “assistant” when he accompanied former CNRP lawmakers Mu Sochua and Long Ry to visit the jailed party activists and former officials in April 2017. Speaking to reporters after the visit yesterday, Mr Chanrath said he and his two colleagues were able to see 14 out of 15 jailed opposition officials and activists. Mr Chanrath said if they remain behind bars any longer, their futures would be spoiled because they have families to take care of. “I think that they should be forgiven by the government and pardoned,” Mr Chanrath said. Mr Chanrath said that he was not allowed to meet Meach Sovannara, former chief of the CNRP information department, because he was disciplined for using a mobile phone in the prison. Mr Sovannara was sentenced to 20 years in prison for insurrection. 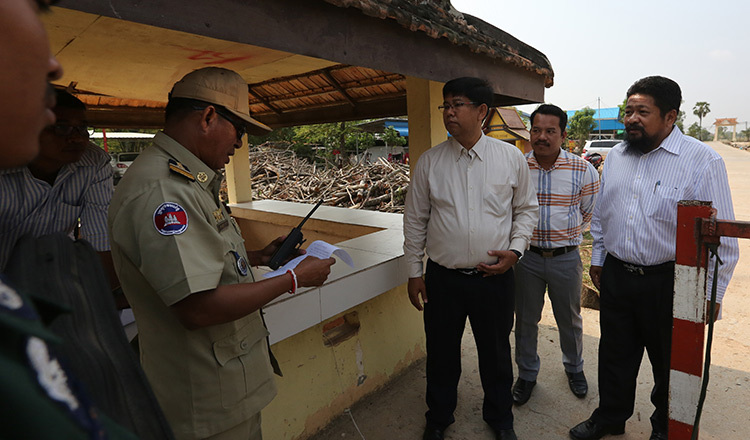 The trio also met with Um Sam An, an American-Cambodian citizen, who was sentenced to two years and six months in prison in October last year for Facebook posts in which he accused the government of ceding territory to Vietnam by using improperly demarcated maps. Mr Monyvann said that some of the jailed activists have served two-thirds of their sentences, so they deserved pardons or reduced sentences. General Khieu Sopheak, spokesman for the Interior Ministry, said yesterday that the pardons and reduced sentences were based on prisoners’ good behaviour. Mr Sopheak said that if the jailed former CNRP members behaved well without being associated with the dissolved CNRP, their pardons and reduced sentences would be considered. However, Mr Hun Sen said in late March that he would not seek pardons for convicted former opposition members and activists any longer because former opposition leader Sam Rainsy claimed he was bowing to international pressure.